12th January 2019 by admin 0 comments on "A Guide to the Best French Pastries"
You certainly know that French people are known for their amazing pastries, which are without a doubt fantastic. No matter what city you decide to visit you will have the chance to eat their amazing croissants, or even something sweeter with little cream. No matter what you actually choose, we are sure that you will fall in love with French pastries. Here is a guide to the best products in this category of foods. This beautiful country is universally renowned for its excellent pastries, and once you get here you cannot leave without trying them. We did some deep research so that we could show you what French people love the most. This pastry has its origins in Italy but has been made and enjoyed to the fullest in France as well since the early 1500s. It is believed that this pastry is actually the creation of Laduree, a famous French pastry chef, who has several patisseries in Paris where people come all the time. No matter who’s creation actually is, this pastry tastes absolutely amazing and if you decide to visit France then you must definitely try it. How can you not like the French croissant?! The secret for a delicious French croissant is the butter. At least, this is what French chefs say. If the butter is high-quality then the croissant will not only taste amazing but it will also have a great texture. The first mention of this pastry in literature was in the 1840s, and since then it has been extremely appreciated and popular not only in France but all over the world as well. 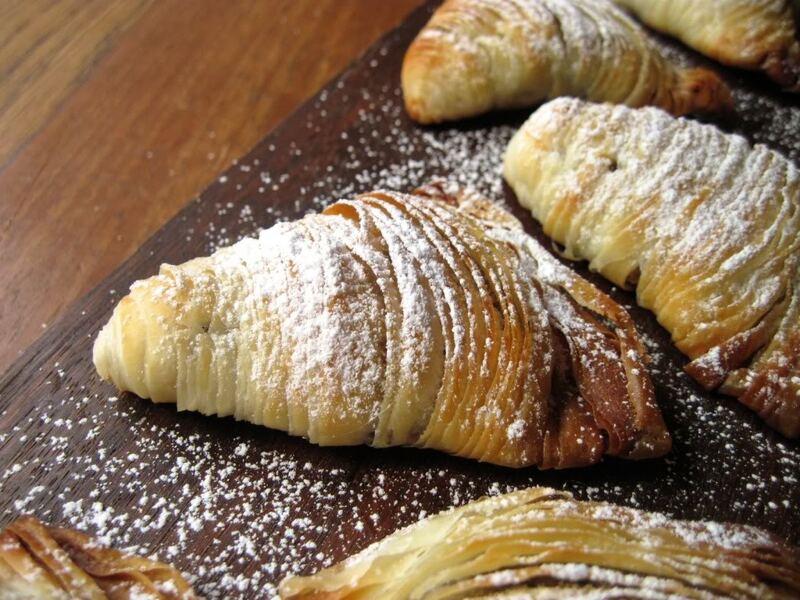 This small pastry hails from the Bordeaux region of France. It is well-known for its amazing taste, and for its quite thick caramelized crust and softer center filled with vanilla. Canele is excellent for a snack or for finishing off an evening dinner with some Chantilly delicious cream. All in all, we are pretty sure that you will absolutely love Canele. If you like pralines and pastry then this combination of ingredients will be perfect for your taste buds. Paris-Brest was created for the first time in 1910, in order to commemorate the Paris to Brest roundtrip bicycle race. It has been extremely popular at that time and it still is today. You will see why we say that after you try it. Another pastry you need to try in France is the eclair. It is true that this dessert can be found in many countries, but the one that it is made in France has a totally different taste and texture. Originated during the 19th century, the French eclair is basically almost impossible to beat. This pastry comes from Brittany, which is the coastal region in the north of France. 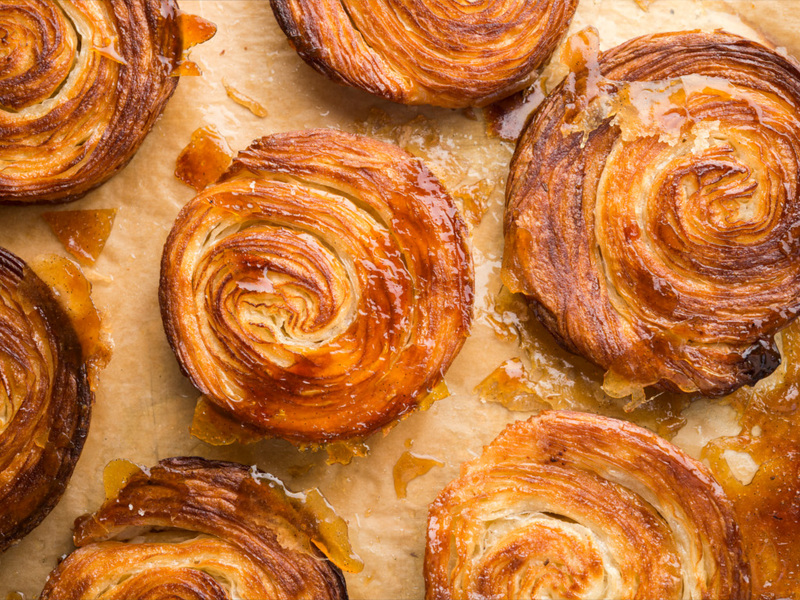 The main ingredients of Kouign Amann are sugar, butter, and bread dough. Many people say that it tastes just like a crunchy croissant. Therefore, if it sounds interesting and attractive to you, then don’t forget to try it when you decide to visit France.